Listing agent: Julie Kinnear, Royal LePage Real Estate Services Ltd.
On a tree-lined street in Parkdale, this renovated century home has unique design features and a three-bedroom layout, says agent Julie Kinnear. "It was a very cool Victorian," she says, citing that it is one of very few in the area that has a full-sized, unfinished basement and an extensive amount of exposed brick wall. The exposed brick extends from the main to the third floor, offering a visual element that adds "charm and character," says Ms. Kinnear. The semi-detached house has a third floor master suite with a skylight, a walkout to a deck and a view of a second floor bedroom below with cathedral ceilings and multiple windows, including a triangular one. The second floor bedroom has a walk-in closet and a stylishly remodelled bathroom with a skylight, glass shower stall, air jet whirlpool tub for two and custom cabinetry. Over the past 10 years, the previous owner also renovated the main-floor powder room, updated the plumbing and electrical systems, and installed new windows and pine stairs. The kitchen was spruced up and now features custom glass and wood cabinetry, granite countertops, halogen lights and an island. There is a side entrance to the cooking area, and it also opens onto a deck and private backyard. The yard was recently landscaped with natural flagstones, a pond and lighting. 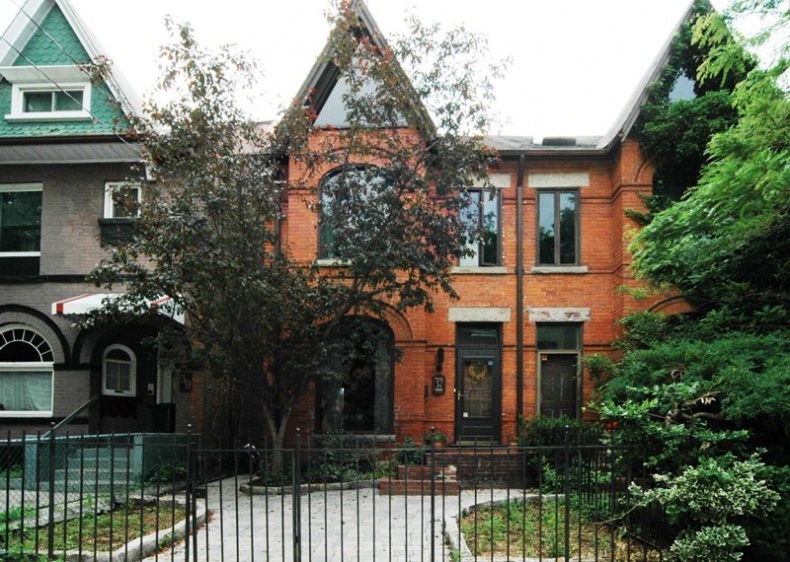 Heritage features include a brick facade, arched windows, 10-foot ceilings, crown mouldings, restored pine floors and a wood-burning, brick fireplace in the living/dining room. There is no private parking, but the house is steps from public transit, fine art galleries, restaurants and the historic Drake and Gladstone hotels.